Racist congregation is cheering a racist sermon of a racist pastor. Muslims Against Sharia call on Senator Obama to cut all ties with his racist supporters Jeremiah Wright and Louis Farrakhan. 2 Obama's minister: U.S. started AIDS. Candidate's spiritual mentor, role model called America 'No. 1 killer in the world'. 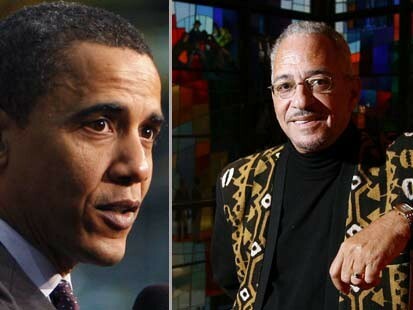 Without the prophetic, bold voices and organizing ability of leaders like Pastor Jeremiah Wright of Trinity United Church of Christ in Chicago there would be no U.S. Senator Barack Obama with a decent chance at becoming the first black president of the United States. ... While Sen. Obama may have to distance himself from his pastor to play the game of politics, it is unwise for any of us to burn the bridges that brought us across.